In R&Q's first R&Q Q&A we interview Christine Santagate and Paul Robinson about the impact they've had at R&Q. Welcome to the first post in our R&Q Q&A series. Every two months we'll ask R&Q employees from a different region questions about how they make their impact at R&Q... and the impact R&Q has had on them. 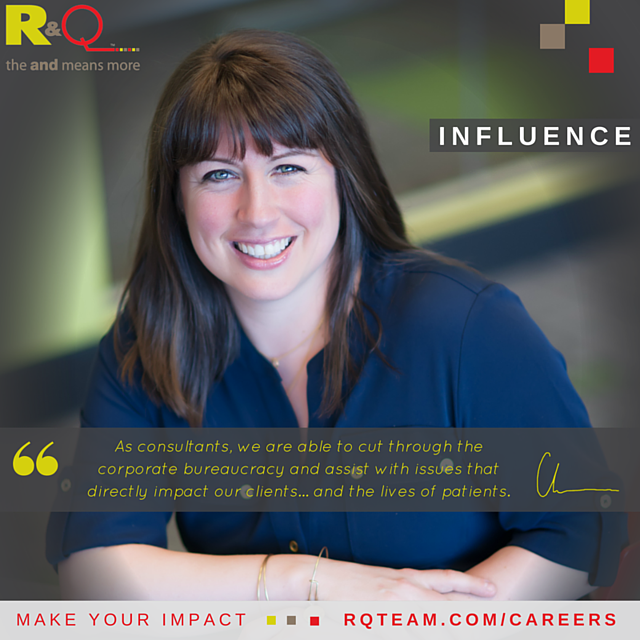 From improving people's lives to R&Q's corporate culture, we hope their answers shed light on how R&Q influences the medical device industry and why our employees claim working at R&Q is a highly rewarding experience. "Impact the world in ways you never thought were possible. At a company where curiousity never sleeps." We state that because we've seen the influence first-hand and understand the R&Q team's curiosity and willingness to move forward professionally is what gets us there. R&Q takes pride in fostering a rewarding culture where "the and means more" in all that we do. Our highly motivated team ultimately puts the needs of the patient first, inspiring and supporting each another in the process. It's a team effort, yet our employees are empowered to be entrepreneurial and forge their own path towards achieving goals. Whether in Pennsylvania, Ohio, Boston, Minnesota, or elsewhere in the world, the R&Q team is activiely participating in medical device conferences, networking events, and workshops to gain the valuable industry insight we need to help you... and continue advancing the medical device industry on the whole. 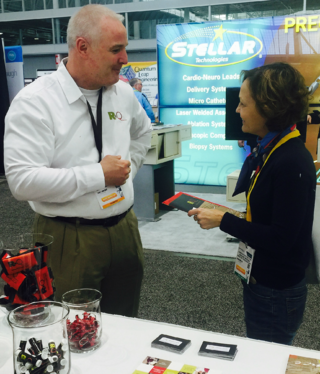 This post focuses on two members of our Boston team: Christine Santagate and Paul Robinson. It's been a busy year for R&Q in the northeast, with a lot of activity in conjunction with organizations such as MassMEDIC, MassBio, M2D2, MDG, and a few others. We've made the rounds making connections and listening to the needs/experiences of medical device companies, and we look forward to contuing that in the second half of 2016. Take a look at our Events page to see what's next or Contact us to start a conversation. Christine Santagate is a Client Solution Advisor at R&Q. 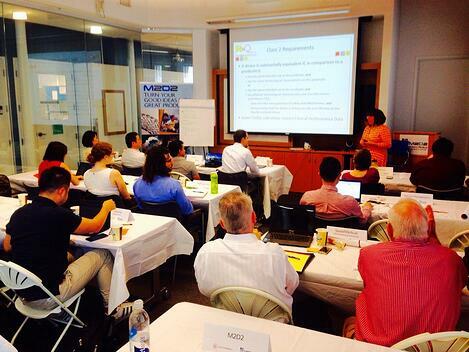 She's a key figure in Massachussets medical device expos and workshops, having just last week given a presentation at the M2D2 ASPIRE program in Lowell, MA (picutred below). She represented R&Q at MD&M's BIOMEDevice Show in Boston in April, and spoke at MassBio for our Presentation and Networking lunch in March, among several other events and conferences. On June 21, she'll be co-presenting a free webinar: ISO 13485:2016 – 10 Tips for Adopting the Updated Standards. How has R&Q been a rewarding place to work for you? I’ve been able to work on a variety of projects and device types that would have been unavailable at a standard company. The knowledge base of our 80+ team is astounding and I learn something new every day. I really mean that: every single day. Dedication to learning and growth. More specifically, there are plenty of programs for certification and mentor training opportunities. The environment here encourages you to take your knowledge as far as you want. As consultants, we are able to cut through the corporate bureaucracy and assist with issues that directly impact our clients and the lives of our patients. And everyone wants that exact same result here. You feel the group effort. What does empowerment at R&Q mean to you? R&Q doesn’t lose sight of what is truly important. I am empowered to grow and move forward in my career, all while focusing on raising my family. I don't think it's always like that. How does your role help drive our mission and vision? I get to work directly with clients to provide quality solutions that take into account the continuous needs of their patients. 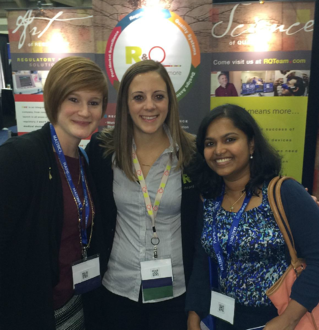 What makes working at R&Q so special? This is the most caring and considerate group of professionals I have ever had the pleasure of working with. Meet Senior Director of Regional Operations Paul Robinson. Paul is another active industry leader in the greater Boston region, having presented training workshops at the BIOMEDevice show on FDA and UDI compliance. In May, he led R&Q's most popular webinar so far this year, "A Whole New World of UDI," hosted by MassMEDIC. View the slides and recording. The positive and optimistic personalities of employees that work at R&Q is contagious. R&Q provides such a flexible working environment that “work-life balance” never has the chance to become even an afterthought. The supportive environment at R&Q provides significant opportunities for growth because employees feel comfortable stretching to the limits of their abilities. That's how everyone gets better at what they do. We move from one company to the next, from one culture to the next, and we are able to develop and implement unique improvement opportunities regardless of the status of client companies. Empowerment at R&Q means you are given the opportunity to assess your unique condition and are able to develop and deliver a unique personal solution. I am given the opportunity to work with clients to develop specific, business-friendly solutions. While improving lives is what we care about most, we also understand medical device companies are businesses. 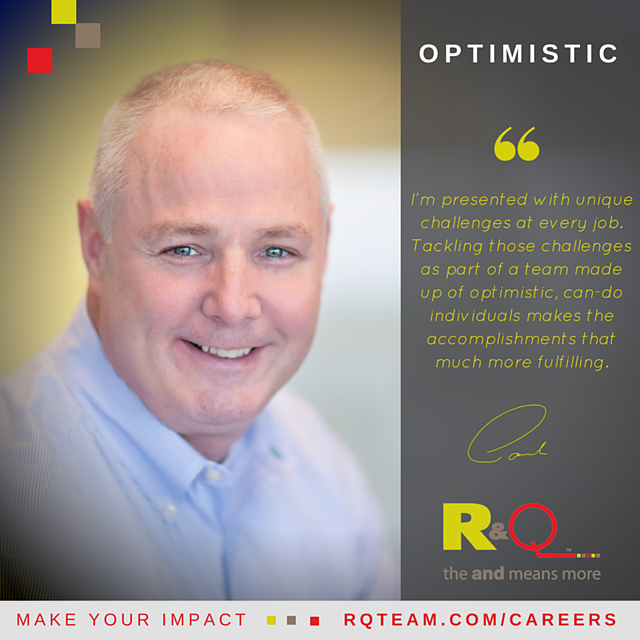 Working at R&Q is so special because you are presented with unique challenges at every job but you also tackle those challenges as part of a team made up of the most optimistic, “can-do" individuals you could ever hope to find. This is who we are. How will you make your impact?